Our first experience playing with Lew was during a 2004 tour with Kristjan Jarvi’s Absolute Ensemble. Lew was a go-to soloist for the New York-based chamber orchestra and as part of that group, we had moments of pure bliss jamming on stage with him. Lew quickly became a dear friend and mentor to us, and our relationship would continue long after that first tour had ended. Forget Me Not was to be our first album as a trio and, to our delight, Lew agreed to play on it. When we began rehearsing for the recording in 2004, it was Lew’s unhinged creativity that inspired us to expand the structure of some of the pieces; we had to make space for him to stretch out and let his ingenuity run wild. Lew’s layered solos, on what turned out to be the title track, were mind-blowing; listening to him weave through changes and play off of his own live takes was a master class in improvised composition! His playfulness is on full display on The Days of Wine and Roses, and his bared soul mesmerizing on the intro to If I Were a Rich Man, adding a moment of gravitas and reflection before seamlessly transitioning into the Afro-Caribbean style arrangement. The making of Forget Me Not was extraordinary, as Lew’s boundless energy enlivened us both in and out of the studio; we could barely keep up with him throughout the 4 days of recording and partying! In the years that followed, we continued to work with Lew on a variety of new endeavours, each experience filled with amazing memories, and each project marked indelibly by Lew’s characteristic sound and influence. Lew Soloff had a profound impact on us all, both as musicians and as human beings. He opened our minds to fresh, new ways of thinking about music, and we continue to miss him dearly. There will always be a Lew-shaped hole in our trio, but it will always be filled by his gifts of wisdom, generosity, profound musicianship and insatiable joie de vivre. We are proud to re-release this album as a tribute to our friend and mentor, whose importance in each of our lives cannot be overstated. We will never forget you, Lew. 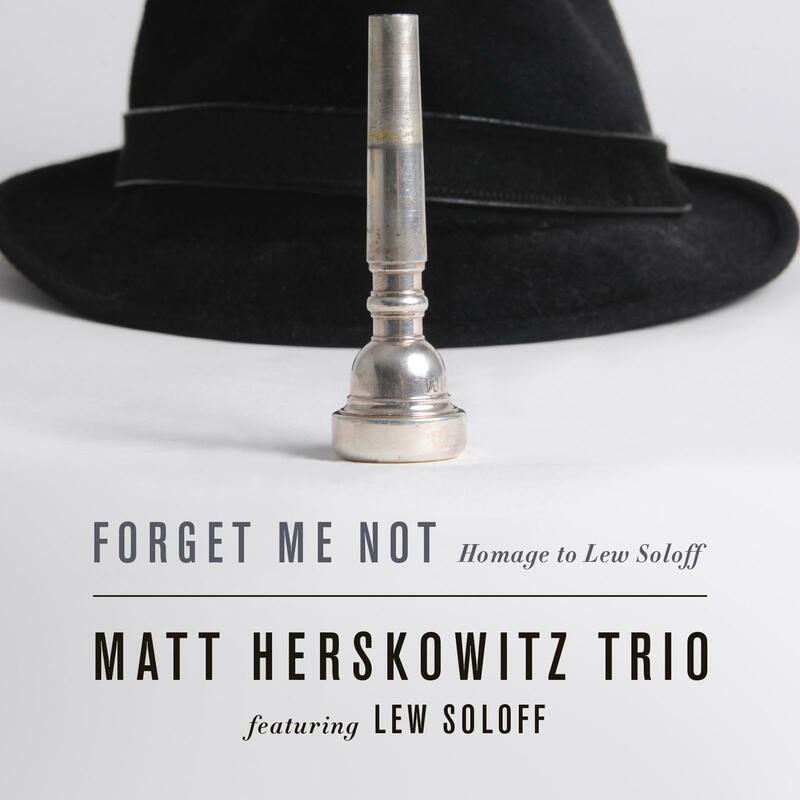 - Forget Me Not - Homage to Lew Soloff was remastered by Fred Bouchard.